One of the most widely used constants throughout mathematics is the number pi, which is denoted by the Greek letter π. The concept of pi originated in geometry, but this number has applications throughout mathematics and shows up in far-ranging subjects including statistics and probability. 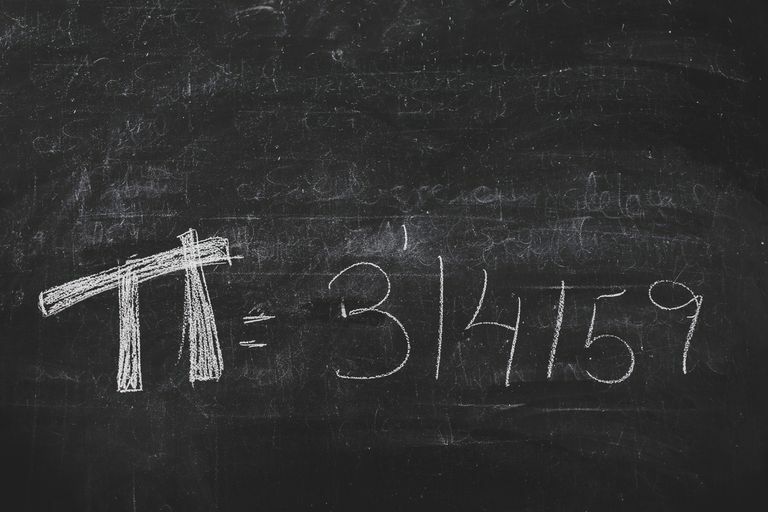 Pi has even gained cultural recognition and its own holiday, with the celebration of Pi Day activities around the world. Pi is defined as the ratio of a circle’s circumference to its diameter. The value of pi is slightly greater than three, which means that every circle in the universe has a circumference with a length that is a little more than three times its diameter. More precisely, pi has a decimal representation that begins 3.14159265... This is only part of the decimal expansion of pi. Pi is an irrational real number. This means that pi cannot be expressed as a fraction a/b where a and b are both integers. Although the numbers 22/7 and 355/113 are helpful in estimating pi, neither of these fractions is the true value of pi. Because pi is an irrational number, its decimal expansion never terminates or repeats. There are some questions concerning this decimal expansion, such as: Does every possible string of digits show up somewhere in the decimal expansion of pi? If every possible string does appear, then your cell phone number is somewhere in the expansion of pi (but so is everyone else’s). Pi is a transcendental number. This means that pi is not the zero of a polynomial with integer coefficients. This fact is important when exploring more advanced features of pi. Pi is important geometrically, and not just because it relates the circumference and diameter of a circle. 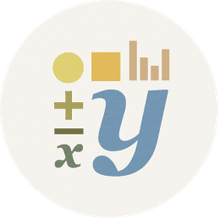 This number also shows up in the formula for the area of a circle. The area of a circle of radius r is A = pi r2. The number pi is used in other geometric formulas, such as the surface area and volume of a sphere, the volume of a cone, and the volume of a cylinder with a circular base. Pi appears when least expected. For one of many examples of this, consider the infinite sum 1 + 1/4 + 1/9 + 1/16 + 1/25 +... This sum converges to the value pi2/6. Pi makes surprising appearances throughout mathematics, and some of these appearances are in the subjects of probability and statistics. The formula for the standard normal distribution, also known as the bell curve, features the number pi as a constant of normalization. In other words, dividing by an expression involving pi allows you to say that the area under the curve is equal to one. Pi is part of the formulas for other probability distributions as well. Another surprising occurrence of pi in probability is a centuries-old needle-throwing experiment. In the 18th century, Georges-Louis Leclerc, Comte de Buffon posed a question concerning the probability of dropping needles: Start with a floor with planks of wood of a uniform width in which the lines between each of the planks are parallel to one another. Take a needle with a length shorter than the distance between the planks. If you drop a needle on the floor, what is the probability that it will land on a line between two of the wood planks? As it turns out, the probability that the needle lands on a line between two planks is twice the length of needle divided by the length between the planks times pi.